This picture was taken on Saturday night, October 10, 1970 at the Statler Hilton Hotel in Washington, D.C. It was the Civil Air Patrol National Board Banquet. 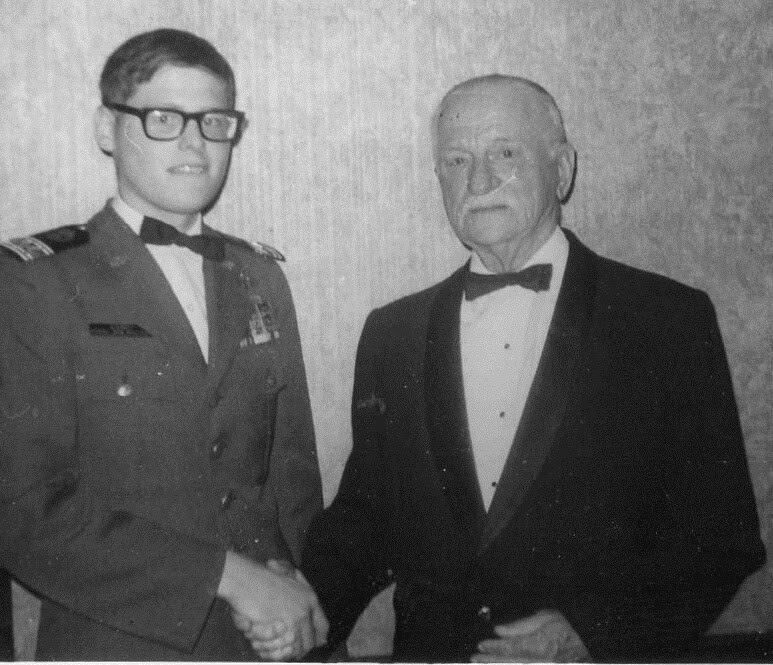 General Spaatz was very friendly and outgoing to this new Spaatzen from the Vancouver Composite Squadron in the Oregon Wing. I remember how with a sly smile he deftly hid his gin and tonic in his left hand when this picture was taken. I remember General Spaatz as being very kind and open. I realize now how lucky I was to actually meet the General, he died in 1974.